Here are a few tips for assembling your Polywood furniture. For most of our furniture we recommend working on an elevated surface to make it easier on your back. Some might also find it easier to assemble with a friend. To avoid scratching the lumber, assemble your furniture on top of a soft surface like cardboard or a blanket. Read through the instructions once before beginning and follow each step carefully. Check out our Youtube channel or website for assembly videos. These will walk you through the printed instructions and are available for many top selling products. Organize your hardware and furniture pieces to make sure you have everything needed to begin. Start all hardware by hand before tightening with the tool. Most hardware can be tightened with the provided 4mm T-handle hex key. Some hardware must be tightened using the wrench. This is not included in your hardware pack, If you'd like to speed things up, you can use a drill fitted with the appropriate bit. Be sure to set the drill clutch to a medium setting to avoid stripping or over-tightening the hardware. When attaching 2 pieces, leave a gap for visibility. The lumber will pull into the correct position once you begin tightening the hardware. When tightening, grip loose pieces well to avoid any unwanted movement. Polywood furniture is engineered to have tight tolerances. Sometimes a soft mallet can be helpful when fitting 2 pieces together. The boxes and assembly instructions can be recycled. Hold onto the provided tools, they may come in handy in the future. If you have any questions, please don't hesitate to contact us. A few helpful tips that will assist you in assembling any Polywood furniture. Use our recycling stations to help your venue stay eco-conscious! They come in a wide variety of sizes, styles, and colors so you can customize each can to fit your needs. 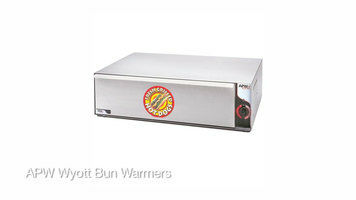 Easily keep the buns at your venue warm for an extended time with the APW Wyott bun warmer. Watch this video to learn more about its features and how to operate this product. 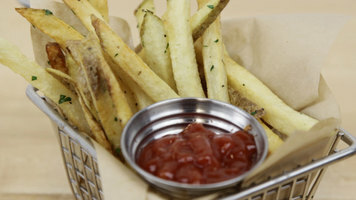 Watch this video to learn how to use, clean and maintain your French fry cutter! These step by step visual instructions will be sure to help you keep your French fry cutter with a 1/2 inch blade running like new.